Gary Trent FT's help Duke to a win. 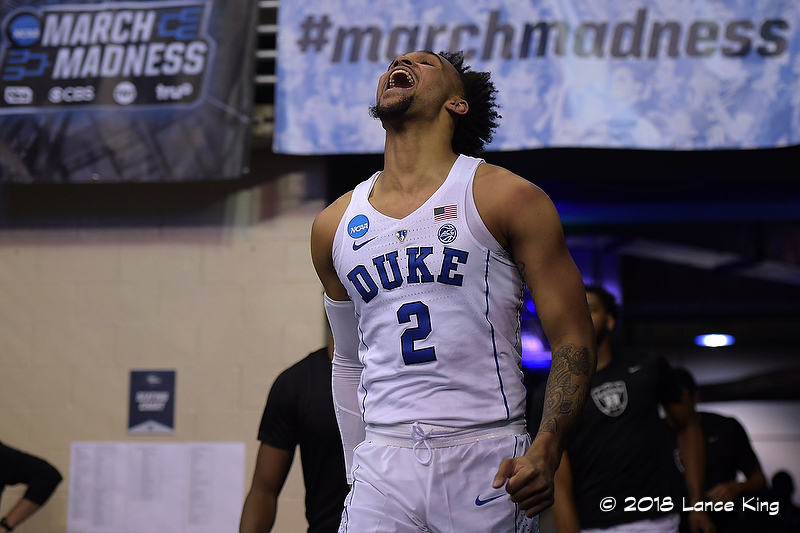 DURHAM, N.C. – Duke freshman guard Gary Trent, Jr. has announced that he will enter his name in the 2018 NBA Draft. Trent is the third Blue Devil freshman this season, and the program’s 15th freshman overall, to declare for the NBA Draft. 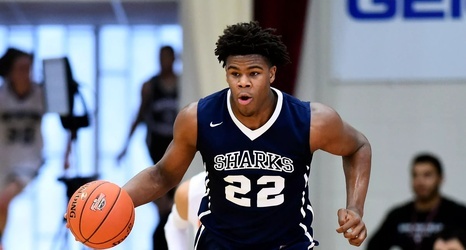 He joins a group that includes Corey Maggette (1999), Luol Deng (2004), Kyrie Irving (2011), Austin Rivers (2012), Jabari Parker (2014), Tyus Jones (2015), Jahlil Okafor (2015), Justise Winslow (2015), Brandon Ingram (2016), Jayson Tatum (2017), Harry Giles (2017), Frank Jackson (2017), and teammates Marvin Bagley III (2018) and Trevon Duval (2018). Trent enjoyed one of the best shooting seasons by a rookie in Duke history. The Columbus, Ohio native broke the Duke freshman record for three-point field goals with 97, surpassing the mark of 95 set by J.J. Redick in 2003. His 97 threes were third-most in the ACC, while his three-point percentage of .402 ranked fourth in the conference and stands seventh all-time by a Duke freshman. Trent’s free-throw percentage of .876 ranks fifth on Duke’s freshman list. Trent, who hit at least one three-pointer in each of the final 28 games this season, matched the Duke freshman record for made threes in a game with six on four different occasions -- at Boston College, vs. Wake Forest, at Miami, vs. Notre Dame. Trent was twice named ACC Rookie of the Week, and garnered Player of the Week honors after pouring in a career-high 30 points in a win at No. 25 Miami. Trent was Duke’s second-leading scorer over the second half of the season, averaging nearly 16 points per game. 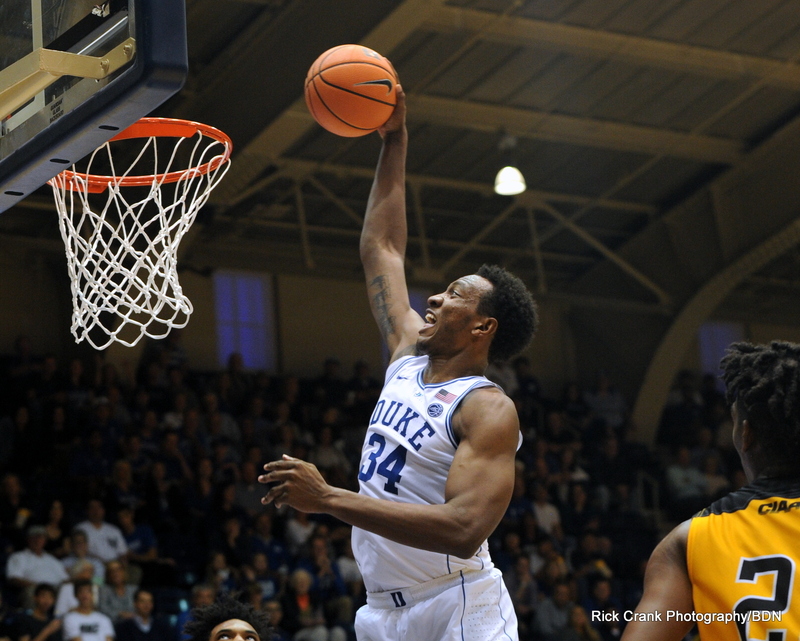 The Duke Blue Devils moved to 29-7 on the season with a hard-fought 69-65 win over Syracuse. Duke will now prepare for Kansas in which will be an epic match up on Sunday. Gary Trent Jr. sealed the win for the Blue Devils by hitting two free throws. He finished the game with 14 points and 5 rebounds. Duke was once again led in scoring by Marvin Bagley III who scored a game high 22 points. "It was s tough game to be a part of and it came down to the end. We just have to find different ways to score on them," said Bagley during the post game press conference. Duke Duke also had a solid effort from Wendell Carter who put up a double-double of 14 points and 12 rebounds. 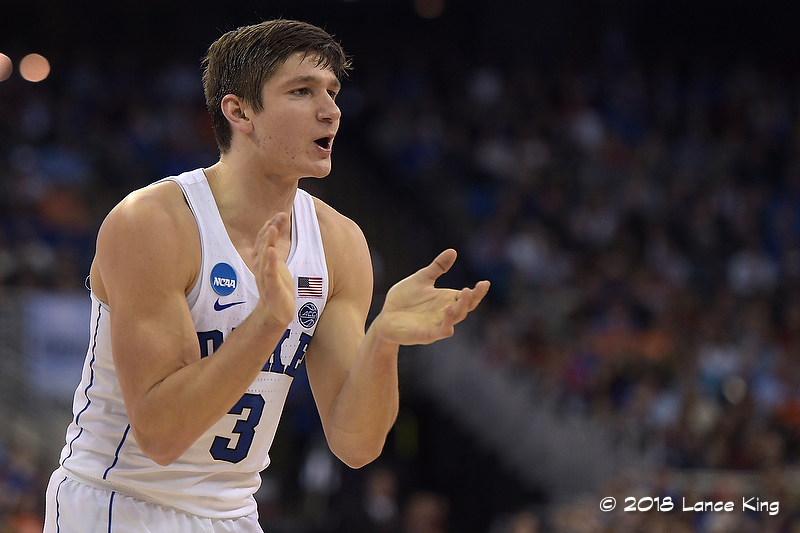 Duke also had Grayson Allen in double figures with 15 points to go with a game high 8 assists. The Blue Devils also got some good minutes off the bench from Marques Bolden who added 2 points and 3 rebounds all of which came at a critical point in the game. Bagley became the top scoring freshman in Duke history. The Duke defense forced Syracuse into 16 turnovers while committing just 7 of their own. Duke scored 18 points off turnovers and probably should have won the game with more ease. The Blue Devils also benefited from getting to the fre throw stripe 28 times where they made 20 of them. Duke struggled mightily from the beyond the three-point stripe, going just 2-18 in the 2nd half. Mike Krzyzewski is 12-2 in Elite 8 games. Duke has 7-4 edge over Kansas in the all time series. Duke will play at 5:05 on Sunday. 10 Random Thoughts on Duke Basketball - an in season team and program update. Welcome to volume 6. Well, I can't tell you how many times Duke basketball has played 9:00 games in late January on the road at Winston Salem. The result was nice for the Blue Devil faithful but these games are no fun for the team due to travel and early morning classes. And with that said, lets jump into the sixth edition of 10 Random Thoughts on Duke Basketball. ...was that the young team is learning how to handle their business on the road. Duke has now won five consecutive conference games and more importantly, three of those wins have come on the road. The team is getting better after the lessons they learned in losses to Boston College and N.C. State on the road. The resurgence has positioned the team in sole possession of 3rd place in a tough 14 team league. Firstly, Grayson Allen comes to mind. He is still struggling a bit with his shot but put up a big time stat line while running the team. By his running the team, that obviously means that Trevon Duval did not have a good game. In fact, Duval had perhaps his worst game of the season. Gary Trent Jr. has been playing his best basketball of the season since the loss to N.C. State. 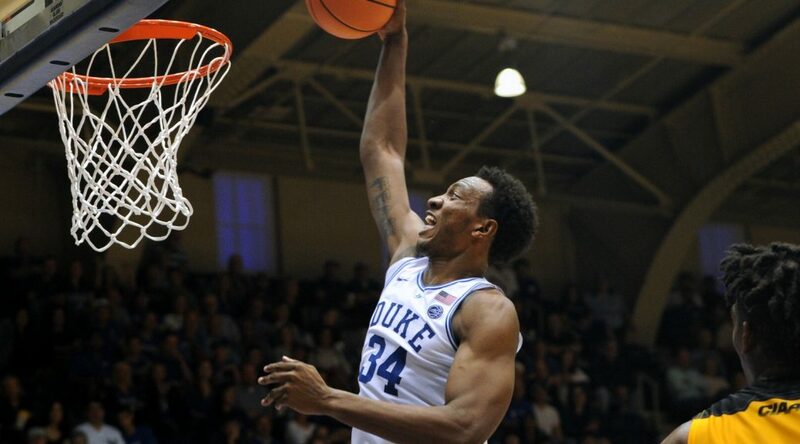 And all Wendell Carter Jr. and Marvin Bagley III did was once again tallying double-doubles. And then Alex O'Connell came off the bench to play 20 minutes of good ball. As for Javin DeLaurier, he still seems to be getting back into the flow of things upon his return from injury. No, I am not talking about the title of a Stephen King book. I am speaking to the fact that Duke has perhaps their most important home stand of the season coming up this Saturday and then Monday night. And their opponents will be #2 Virginia and conference nemesis Notre Dame. Cameron needs to be on point. It is not often the home crowd in Cameron or anywhere else are treated to a top 5 match up. But that is what we get this Saturday and there is plenty of incentive for the Blue Devils in this contest. Lets start with the fact that Virginia is undefeated in the league and atop the standings ranked #2 in the nation. Duke Basketball can flip the script with concern to the ranking and pull within a game in the standings with a win. Well, Virginia is good on defense. And they knock down their free throws. Quite simply Duke must have great shot selection in this game for possessions need to count. When teams miss, the Cavaliers can make you pay with a slow methodical style. And Duke must limit their opponents trips to the free throw stripe. It would bode well for Duke to get a working margin or lead in this game while limiting their turnovers. 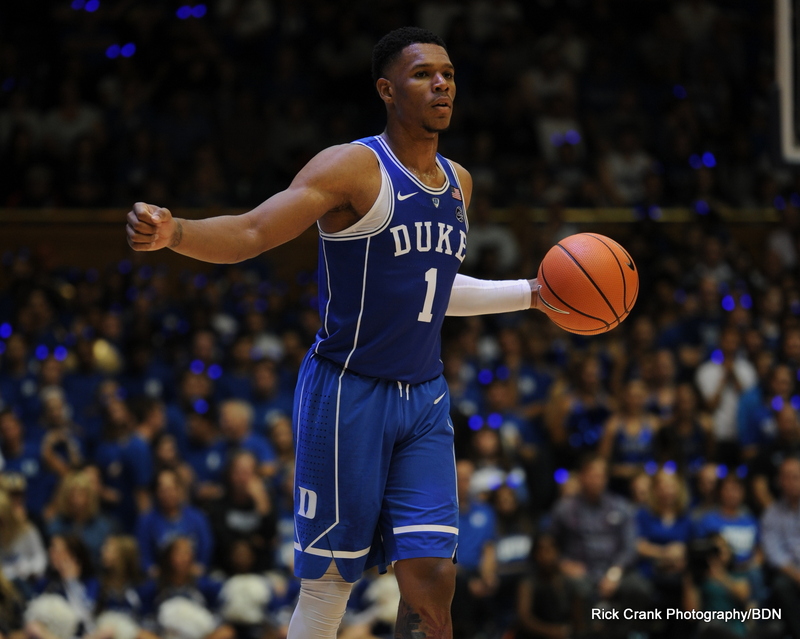 Perhaps no other player thanTrevon Duval who struggled in his last outing, will be more important. He'll need to play under control and watch for the traps. After his verbal commitment to Duke, Zion Williamson went off for 37 points in Spartanburg Day’s (S.C.) 87-38 win over Oakbrook Prep. Tre Jones went for 24 points as his No. 5 Eagles beat visiting Lakeville South. Oh, and he had double figures in rebounding and assists for a triple double. Yeah, he is a Jones. BTW, Duke will not have its 76th McDonald's All American game participant this coming March in Williamson and the aforementioned 2018 class. Here is a link for tickets. While some are caught up in next seasons recruiting class, this years team is way to fun to watch....so pay attention and beam into the present. Duke will be a major factor heading down the stretch as we enter the halfway point of the ACC season. One of the most incredible talents in the land in Marvin Bagley III is special, so enjoy him while you can. The other freshman starters are all doing their thing as well and the senior leadership of Grayson Allen and his last home game against UNC will be here before you can blink an eye. It generally starts, "Hey, do you know anyone..." Yes, somebody asked me if I knew of any #2 Virginia at #4 Duke tickets in Cameron Indoor Stadium. FTR, there is one ticket left on Stub Hub for five hundred bucks. The rest are going much higher than that. Vivid Seats has them from $579.00 per ticket to $789.00. FTR, face value on most Duke tickets is close to one hundred bucks. which is likely most expensive in America these days. If you have won the lottery recently, you might look into Grayson Allen's Senior Day game against North Carolina to close out the regular season. There are two columns coming to bluedevilnation.net this week. One will be on Zion Williamson to Duke and the other will be titled you heard it here first, but we cannot divulge what that will be about just yet. We are also running a special through the end of the month on Blue Devil Nation Premium where we double your membership for the usual price. For those who have recently subscribed, be sure to sign up for the message board as well for more information.